PlagiarismCheckerX Cons – in Detail. Should You Choose Plagiarism Checker X? PlagiarismCheckerX is one of the best tools to detect and remove plagiarism in your work. Find out if it does suit your requirements. Plagiarism has reached an alarming level in academics nowadays. As more and more digital content is getting available through the Internet, it is becoming a necessity to use a good plagiarism checker to avoid accidents on the way. In several articles written on safe plagiarism checkers for researchers and teachers, we have discussed how free plagiarism checkers are becoming a trap for students and sincere website owners concerned about data security. The thing that always bothers me the most when using plagiarism checkers is: how well plagiarism software providers protect our, authors, PRIVACY. This is not about privacy of our personal data (name, address, etc), but actually the privacy of our intellectual work. I have discussed other good software options from IEEE, Grammarly, ProWritingAid other than PlagiarismCheckerX Website in this article about free Plagiarism checkers used by Universities. I will be reviewing PlagiarismCheckerX in the following blog and leave it up to you if the features provided by them are matching your expectations and you choose it over thousands of paid and free plagiarism detection tools available online. Let’s talk about Goods first. 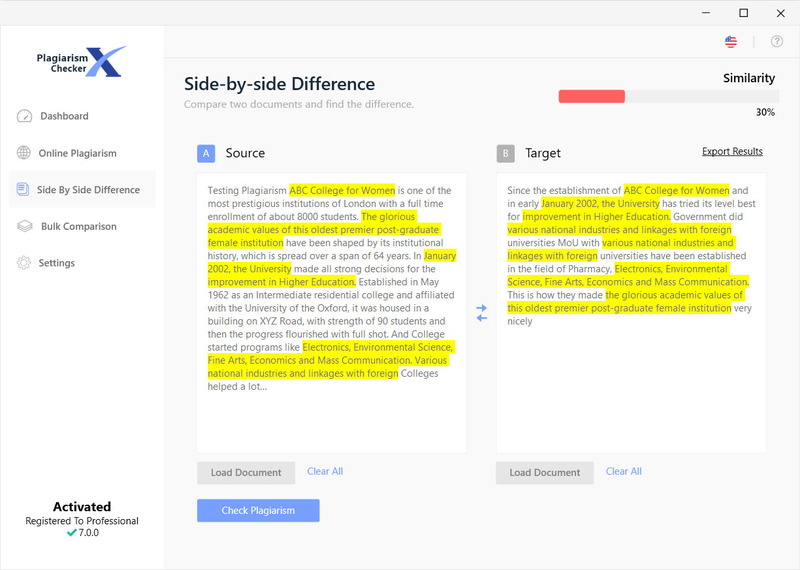 When I first discovered Plagiarism checker X, I was hoping for a highly specific software program for bloggers and writers who are looking for plagiarism detection. 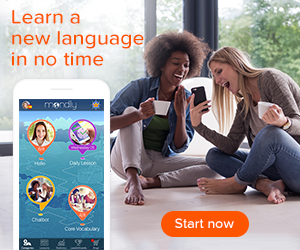 In no time I realized it is more general and ready-to-use for most of the users like students, university administration, website managers, marketers, and writers. Plagiarism checker X is available to use in 7 different international languages including English, Spanish, French, German, Italian, Dutch, and Portuguese. It is able to index your content over 16 billion web-pages and different formats (including right-to-left). Offline Access: If you are to cross 2 documents checks; you don’t need any internet connection to use plagiarism checker. It makes PlagiarismcheckerX the only available offline plagiarism checker. It contains side by side comparison features. If you are an SEO analyst or an editor, this feature is like the cherry on the cake. Teachers, researchers, and students have a challenge to check multiple documents at a time. It has a bulk search feature which helps you to scan a batch of assignment in one go. It provides comprehensive reports of your scans which includes similarity percentage and other useful information. It is safe: Yes! Unlike most of the other free and paid plagiarism checker software tools, it DOESN’T Store your data anywhere. This is what makes me fall in love with such an effective tool. It looks more like an advertisement to say but I must tell you: It is much cheaper option than most of the other companions for copied content detection available on the internet. If you will compare it with Grammarly and ProWriting Aid it has several differences, pros, and cons. Some of them are as follows. Grammarly (or PWA) is primarily a Grammar checker software. It does provide a plagiarism checker facility in the premium plan. However, PlagiarismcheckerX (or Plagiarism Checker X) is primarily a plagiarism detection tool. Grammarly does store your data into their database for training their machine learning algorithms however, it does clarifies that It doesn’t sell your information to anyone. At the same time, ProWritingAid doesn’t store your data and keeps it safe, however it uses Google and Yahoo search indexes only to compare your data. PlagiarismcheckerX comes with a free version which you can use for a limited period of time and content limit. PlagiarismcheckerX is NOT Available for any platform other than windows. Just like every other tool, there is not everything I loved about this plagiarism checker. Plagiarism checker X is quite slow when you compare it with other companions. However, you won’t realize it while in use as it is still fast. PCX is available for windows platform only. That is unfortunate since many of us (including me) use Mac and Linux as our primary operating systems. It doesn’t have a free forever plan. (and I am thankful it doesn’t). It doesn’t have any browser extension for chrome and Firefox. Plagiarism Checker X can be your best friend if your institute doesn’t provide you the access to Turnitin or you are a writer or blogger. Better data privacy protection. It doesn’t need to upload your data into any online servers. Your data is kept inside your machines so it stays safe. Plagiarism Checker X aims to do things differently. Unlike conventional plagiarism checkers, we do not just come up with a result; we tell you the possible sources of plagiarism as well as the extent of plagiarism. Accurate and Speedy tool: When you compare it with Turnitin or other software, you realize it does provide results at much faster pace than the alternatives. It helps you to reach the original source as it displays the URLs where the content is submitted. Comprehensive Reports divided in multiple color codes will help you to analyze your blog post or assignment better. It is used by the people from some of the top universities like OHIO, UMASS BOSTON, and IEEE. 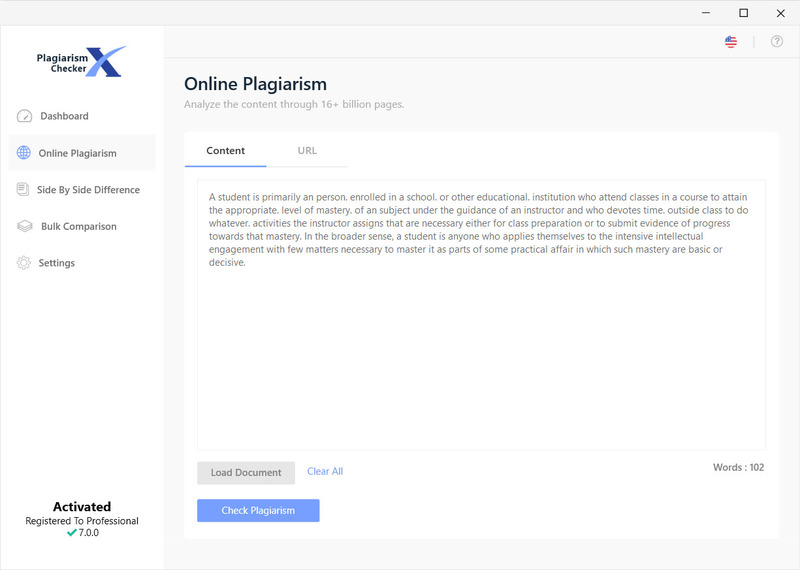 As published on their official website, Plagiarism checker X is used by thousands of teachers, students, marketers, and professionals to stay away from content theft and plagiarism in their work. PlagiarismCheckerX is used in more than 60 countries including USA, UK, Germany, India to name a few. It DOESN’T have any subscription plan and it’s available for one-time only Fees. Since you only have to pay for just once and you get unlimited access of the tool for any purpose, I recommend it over other Plagiarism checkers. However, if you are using Grammarly Premium or Already using ProWritingAid for grammar checking and spelling correction, you can keep using them. 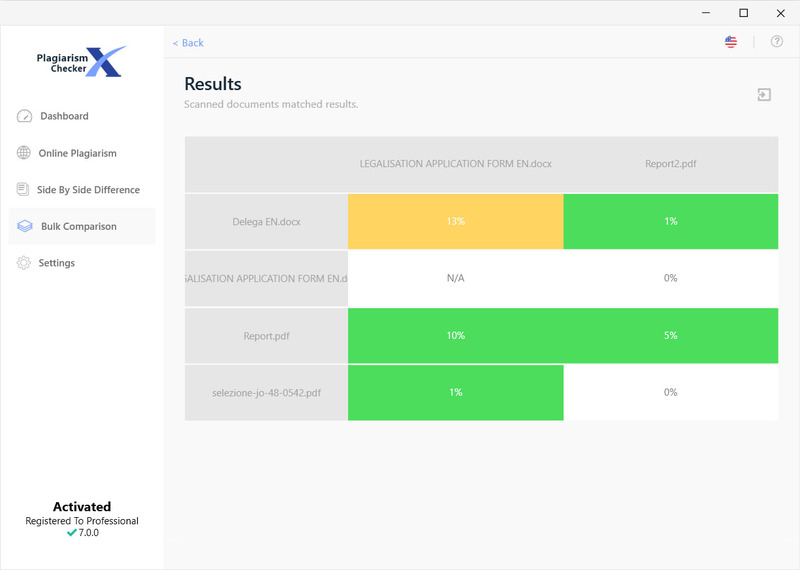 You can download a free version of PlagiarismcheckerX from their website which is available for limited use to check the features. Reading through this post reminds me of my previous roommate! He always kept chatting about this. I will forward this page to him. Prett sure he will have a good read.